There are only two words to describe what will happen if you don’t find a forever home on Kauai: paradise lost. Whether you are newlywed, a golden senior or just in the market for an once-in-a-lifetime investment, Kauai is THE place to live. 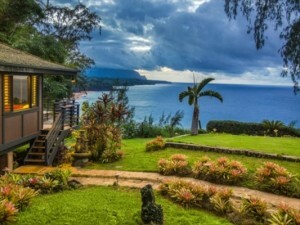 Known as the Garden Island, Kauai is the 4th largest of the Hawaiian chain of islands. It has a vast area of over 562 square miles with 5 recognized regions to include Hanalei, Kawaihau, Lihue, Koloa and Waimea. Real estate prices range from $50,000 to $38,000,000. 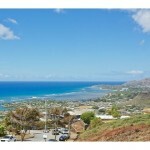 There are several properties with prices suited to help you carve out your own personal slice of a Hawaiian Paradise. Here are a few property styles. One of the most popular styles among islanders are the versatile condominiums. With sizes and amenities ranging from 1-3 bedrooms within various price ranges, this type of real property does not stay on the market for very long. Consider the Kiahuna Plantation condominium units generally available. If you want an abode with maintained gardens, trimmed hedges and a low-maintenance private lawn, you can buy a 1 bedroom, 1 bath unit for about $125,000. Property taxes are estimated to be about $2600 annually. 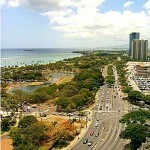 Local attractions include Poipu Shopping Village and on-site Plantation Gardens Restaurant. This is a great type of property to retire to. With pristine, golden beaches which have not been overdeveloped, Kauai offers ocean lovers properties that have a sort of mystical and oasis quality. About ½ of Kauai’s beaches are uninhabited and offer beachcombers their own sort of private paradise. However, with the privilege of exploring these gorgeous shores, there is a price. Beachfront properties tend to command higher prices no matter where you live. Kauai is no exception. Condominiums are also popular with beach lovers. Consider a plantation style unit, situated along the Coconut Coast. Here you may find a cute, but compact 2 bedroom 1 bath unit for $175,000. The beach rises up to meet many of these properties, offering a taste of a private paradise, perfect for swimming or snorkeling. Upkeep on a property such as this is minimal and usually included with HMO fees. No matter what your island pleasure may be, you will be assured to find a property on Kauai which will meet your budget, desires and interests. Call or email and let us help you find your own personal garden paradise.